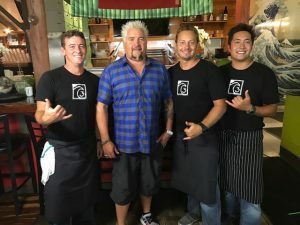 Three Maui food businesses have announced air dates to be featured on Food Network show, Diners, Drive-Ins and Dives with host Guy Fieri. Brigit & Bernards Garden Café in Kahului will be on the show Friday, July 7, and owners say they kept their appearance under wraps to get the restaurant ready for the show release. 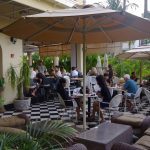 Brigit & Bernards Garden Café in Kahului, featured on Food Network July 7, 2017. Courtesy photo. 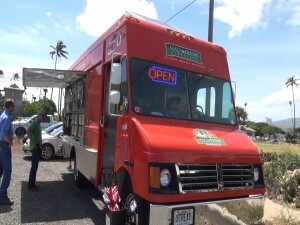 Maui Fresh Streatery food truck will be on Food Network July 14, 2017. Photo by Kiaora Bohlool. 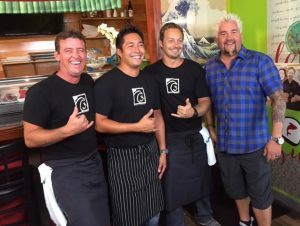 Three’s Bar & Grill in Kīhei chefs/co-owners with Diners, Drive-Ins & Dives host Guy Fieri. 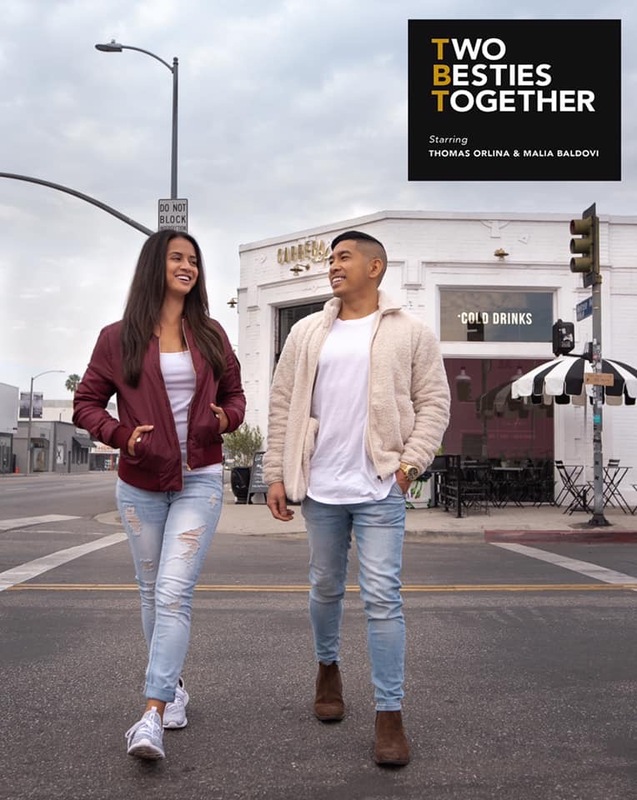 Three’s will be on Food Network on July 21, 2017. Courtesy photo. 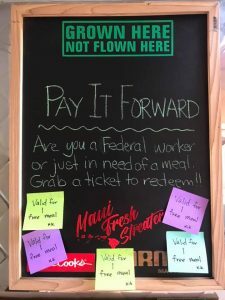 Kyle Kawakami of Maui Fresh Streatery unveiled his involvement on the food truck’s Facebook page, saying the episode, called “Flavor Adventure,” will air on Friday, July 14. 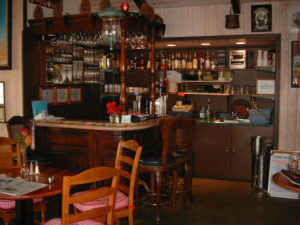 Three’s Bar & Grill in Kīhei will be showcased in an episode entitled “Barbecue, Batter & Beer Can Chicken” on Friday, July 21, and owners say they plan to play the show on a big-screen TV in their newly-renovated Surf Lounge.